YAKUTSK, RUSSIA. JANUARY 18, 2016. A stall selling meat at an outdoor food market in Yakutsk. Outdoor vendors brave -42 degrees Celcius while selling local frozen groceries. 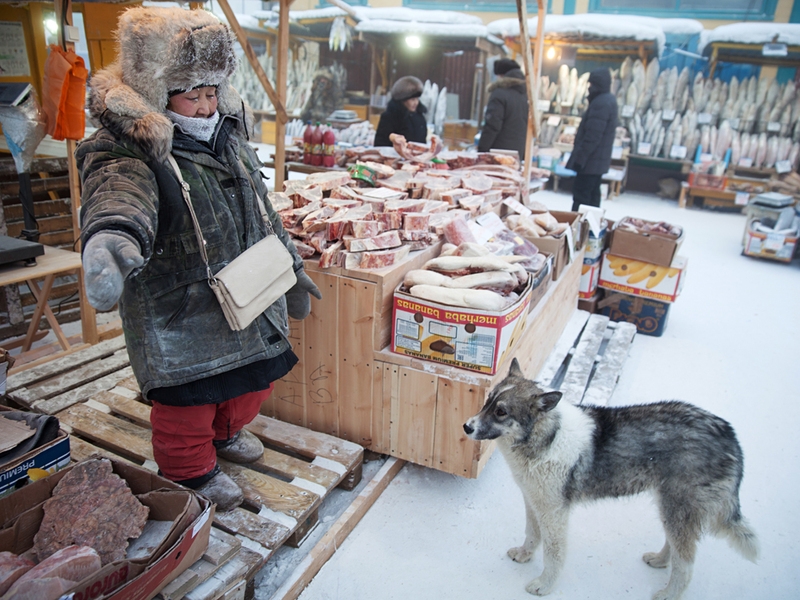 A stall selling meat at an outdoor food market in Yakutsk. Outdoor vendors brave -42 degrees Celcius while selling local frozen groceries.